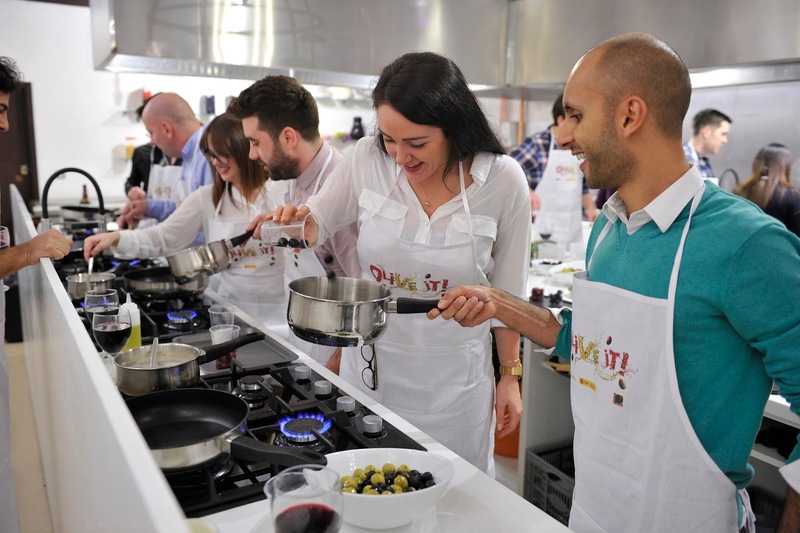 I had the GREAT pleasure of cooking with Omar Allibhoy and some of Cardiff's finest food bloggers this week. 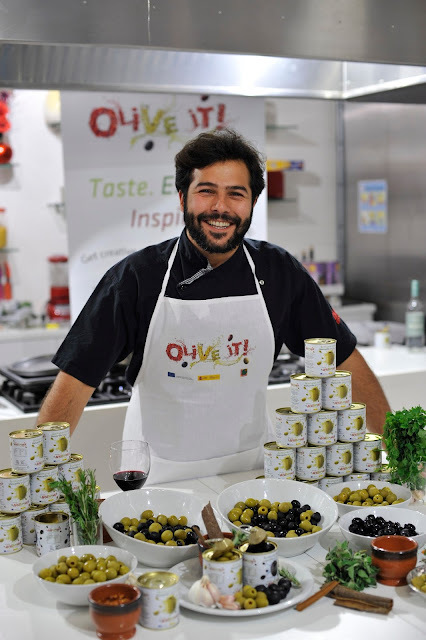 Omar is the king of tapas and founder of the Tapas Revolution restaurants in London & Birmingham. 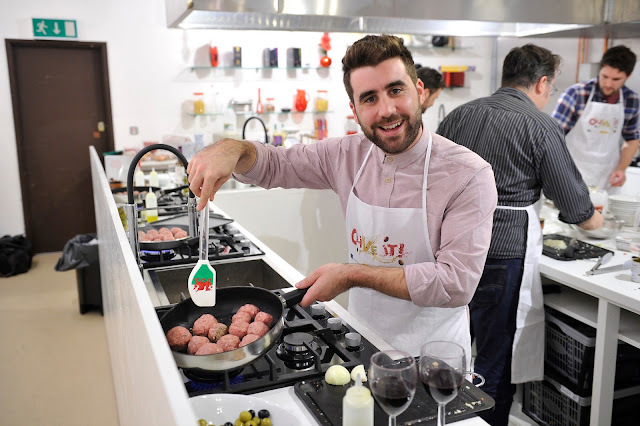 Passionate about all things Spanish, he also has a best selling cookbook under his belt. 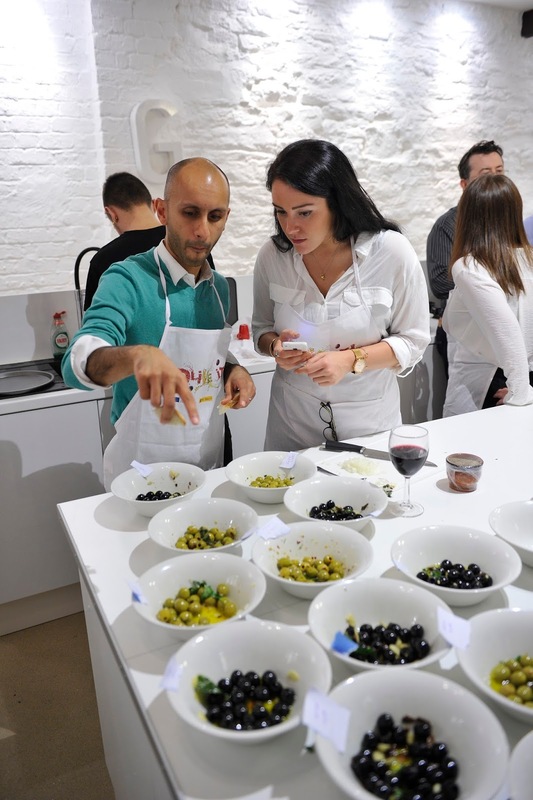 In the invite to the masterclass, I read the words olives & wine and was instantly sold - There is no better combination. Olive It! 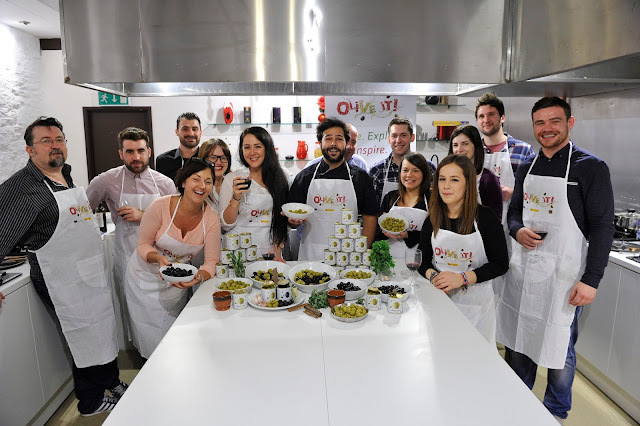 is a European organisation that wants to promote and inspire people to enjoy and produce more olive recipes. I love the little buggers and they are my staple buffet item along with kettle chips and houmous. 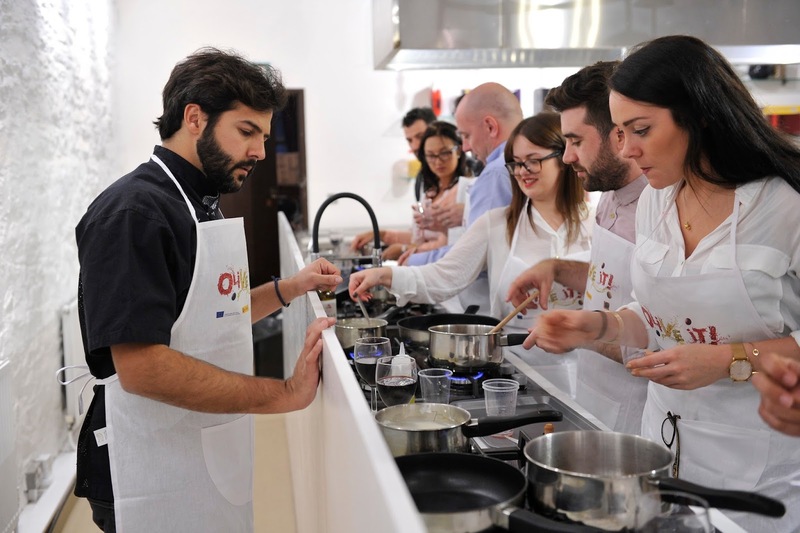 Apart from inhaling a pot in minutes before a meal, I rarely cooked with them...until now. 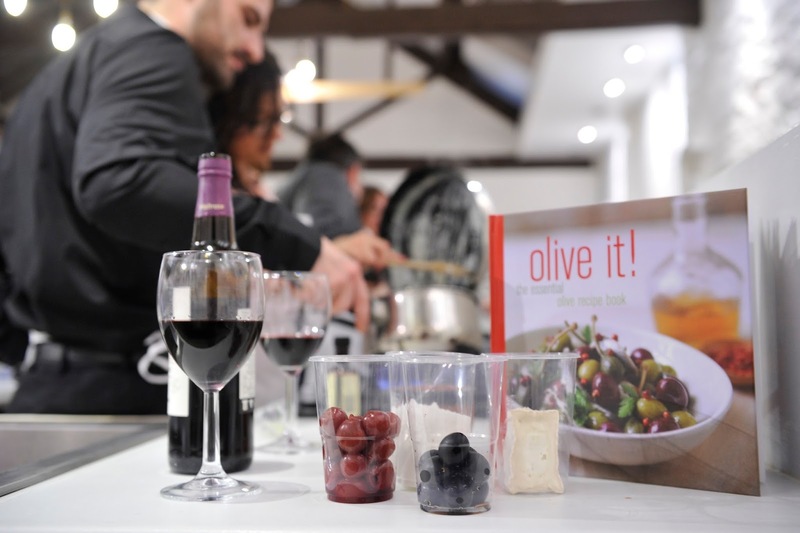 The masterclass, which was held at Giovanni's Cookery School on Mill Lane, showed us how to make 3 different dishes using olives. Marinades, meatballs and dessert. OLIVES IN DESSERT? yes you heard it right, and it was AMAZING. 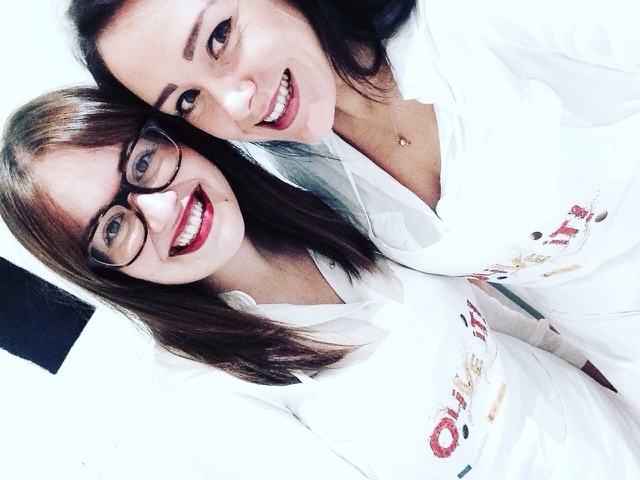 Although I was extremely lucky to be paired up with Kitchen Clonc, who is a cooking genius. I gave myself the title of chief wine pourer, I'm good at this. We started with the dessert as we had to leave it to set. 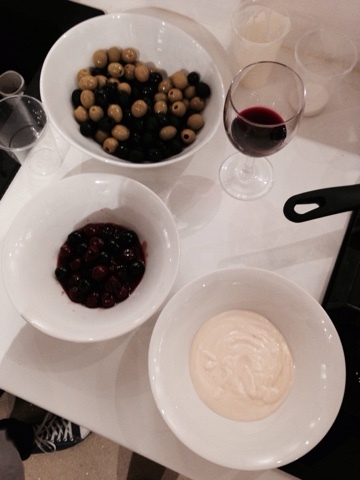 It was made with double cream, goats cheese, black olives, sugar, cherries and sherry wine. Then we went on to making the marinades. Green olives marinated in oregano and chillies & black olives marinated in ginger, cinnamon and cardamon - The festive kind. We added lots of olive oil to these which made it perfect for dipping big chunks of bread into - Best snack EVER. 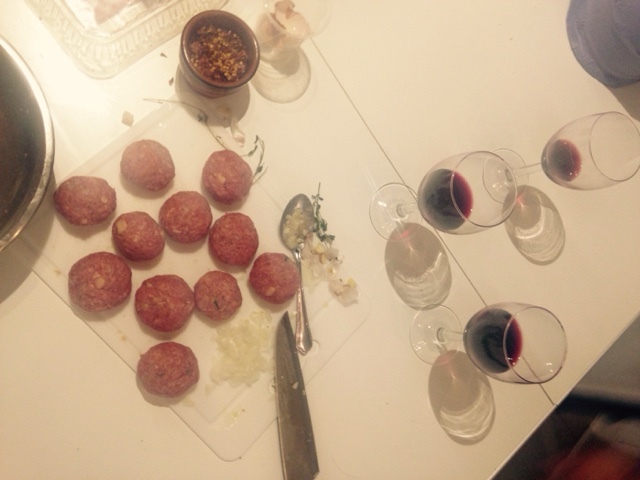 For the main, we cooked olive stuffed meatballs in a tomato and olive sauce - A dish I feel would impress any man. I've never cooked meatballs before and was surprised at how quick and easy it was to whip up such a tasty meal. 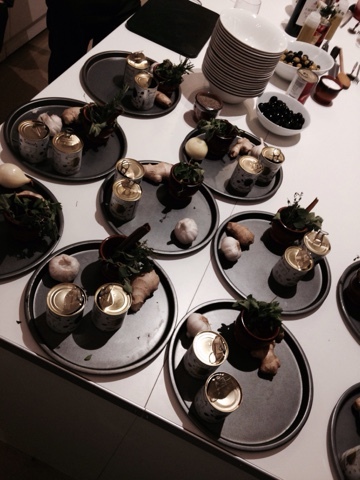 After we had cooked up our dishes and drank too much wine, we took to the table to tuck in. The dessert was my favourite of them all. I have a real sweet tooth and found the sweet and salty mix of the cherry's and olives mixed with the creamy base an absolute dream. Thank you Storm & Omar for a truly amazing evening. My head wasn't feeling too amazing the next day, but red wine is good for us, right?